This powerful story reveals how something remarkable can emerge from a devastating event. Following the events of September 11, 2001, the governor of New York gave the Navy a steel beam that was once inside one of the World Trade Towers. 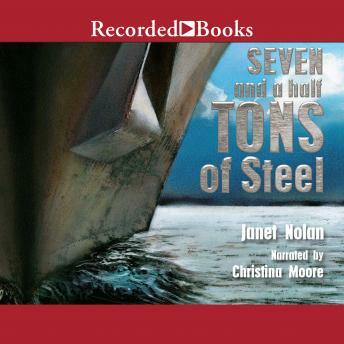 Seven and a Half Tons of Steel tells the story of what the Navy did with it. There is a ship, a navy ship. It is called the USS New York. It is big like other navy ships, and it sails like other navy ships, but there is something special about the USS New York. Following the events of September 11, 2001, the governor of New York gave the Navy a steel beam that was once inside one of the World Trade Towers. The beam was driven from New York to a foundry in Louisiana. Metal workers heated the beam to a high, high temperature. Chippers and grinders, painters and polishers worked on the beam for months. And then, seven and a half tons of steel, which had once been a beam in the World Trade Center, became a navy ship's bow. This powerful story reveals how something remarkable can emerge from a devastating event.